Western Australia's leading traffic and transport engineering consultants. The development application for a new McDonald’s restaurant at the corner of Ranford Road and Tesla Way received approval in 2017. 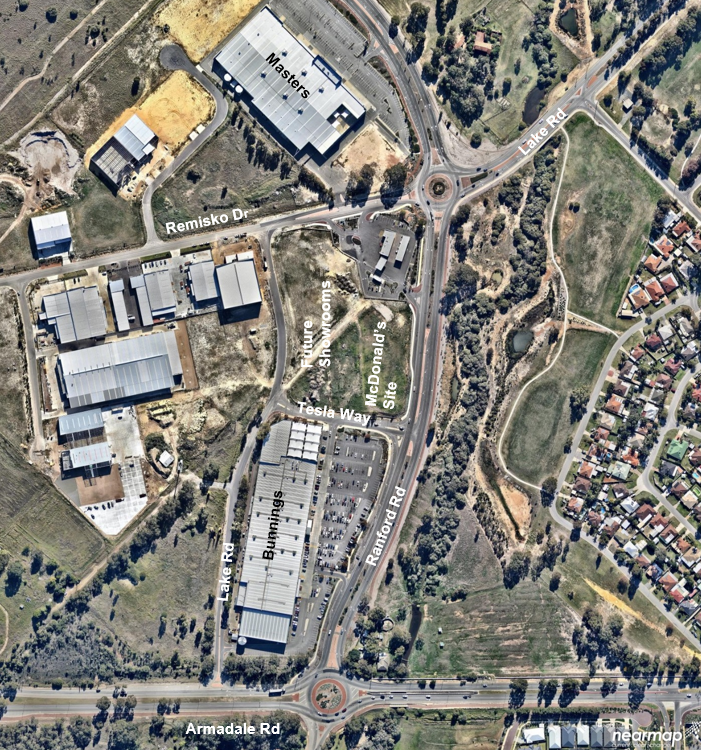 Transcore prepared the transport impact assessment report required for this development application and assisted the applicant to address traffic engineering issues raised by the City of Armadale and the Metropolitan Redevelopment Authority, as the site is located within MRA’s Forrestdale Business Park. Transcore has been involved with this site since 2013, having previously prepared the transport impact assessment report for the planned showroom, fast food and service station uses on this site, which is located between the existing Bunnings and former Masters sites on the western side of Ranford Road in Forrestdale. Transcore’s previous work on this site certainly simplified the traffic analysis required for the McDonald’s restaurant application but detailed consultation was still required with MRA and the City of Armadale to secure this planning approval.